I'm glad I've done this card before, 'cause right now I cannot hit my scraproom, it's like a hundred degree in there. It's in the attic, and I haven't put the AC yet so I will be stuck downstair for a week or two until the temperature get down a little bit. 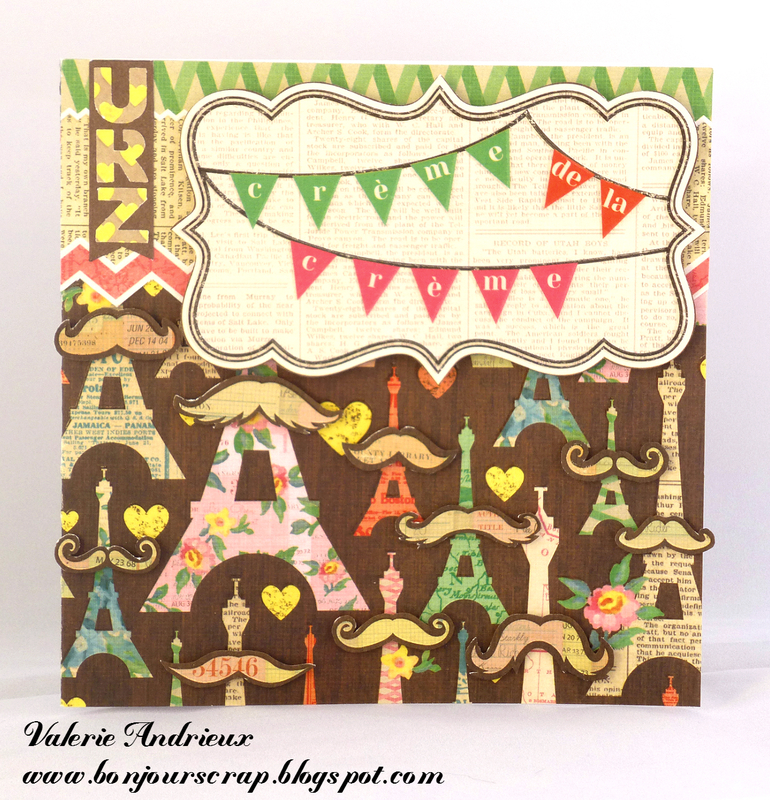 I did fussy cut the mustaches and made a small banner with the punched letters U, R and Z (like a French saying "you are the"). This was a fun card to create ! 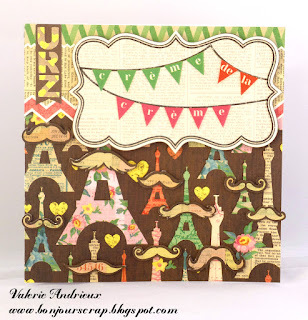 I did a layout too with the same stack, can you spot it on the DCWV blog ? What will you create for this challenge ?